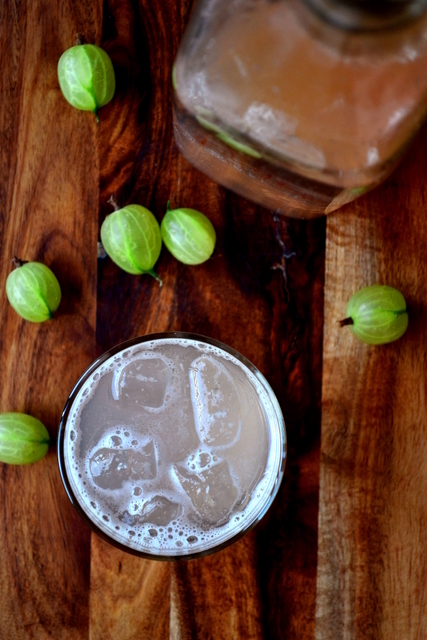 Though indigenous more or less across the European continent, gooseberries are best known for their use, traditionally, in the British Isles, which has a climate particularly well-suited to their cultivation. Now, usually when I get my hands on a berry at this time of the year it immediately gets preserved – strawberry jam, raspberry jam, apricot jam – but it seemed a shame not to experiment a little with such a little used ingredient. So, Gooseberry and Stem Ginger Cordial it is! June, July and August. Gooseberry season. Yet, they are nowhere to be seen in British supermarkets. Of course, you always know what to expect at a supermarket; the same unblemished fruit and veg time and again. While there’s nothing specifically wrong with this, fruit and veg that isn’t necessarily immaculate can be – and often is – the most delicious. It’s also nice to try new things and you’re far more likely to stumble across little-used ingredients shopping at your local grocer than you are at a 24-hour, industry leading “super” market. 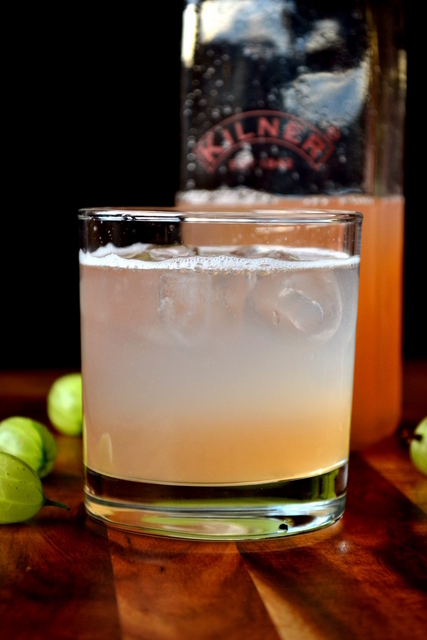 Traditionally, gooseberry has been paired with elderflower to magnificent effect. However, in the interest of creating a gooseberry cordial recipe that everyone can easily enjoy, I’ve substituted the elderflower for stem ginger, an equally excellent pairing. The addition of stem ginger, as opposed to fresh ginger, adds a sweet and spicy flavour that complements the gooseberry, without becoming overpowering. And what you end up with is a refreshing drink, perfect for the summer months. Roughly chop the stem ginger and add to a large pan, along with the remaining ingredients. Bring to a simmer until all the sugar has dissolved. Increase the heat to a gentle boil and mash the fruit carefully with a potato masher (or similar). Pop the lid on the saucepan. After 20 minutes gentle boiling, suspend a sieve over a large mixing bowl and line with muslin cloth. Tip the contents of the saucepan into the muslin and leave to drain into the bowl for 2 hours, or overnight. Once drained, squeeze the muslin of any extra cordial and transfer the contents of the bowl to a bottle and store in the fridge. Serve over ice with a little soda water. Gin is optional, but advised. Cost: My large bag of locally-sourced, beautifully produced gooseberries set me back only £2 – a bargain I simply couldn’t resist. Along with the other necessary ingredients my large bottle of home produced cordial cost only £3. I don’t see these berries where I am, but wish I did. The drink looks wonderful. Ah, that’s a big shame. Give them a try if you ever come across them. Intrigued by gooseberries now. What do they taste like? I love anything with ginger and this drink sounds wonderful! They taste like gooseberries – it’s kinda hard to describe… slightly sour grapes? but in a good way. Anyway, they’re delicious! 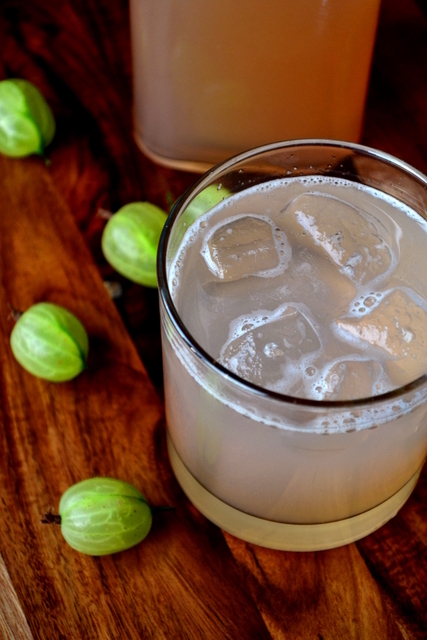 I have been on a huge cocktail-making kick lately, and never would have thought to combine gooseberries and ginger. Sounds absolutely divine. I have my fingers crossed that I’ll be able to find gooseberries this year, but they always seem so elusive. If I do, I’ll definitely have to try this. Good to see you here 🙂 – thanks for the comment. We’ve got gooseberries coming out of our ears here. 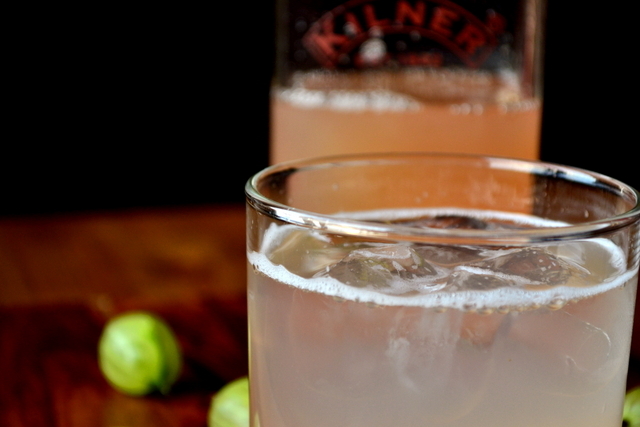 I’ve never tried gooseberries–seems like a good way to start! Looks amazing. Yes – you must. If you can get your hands on some. I never knew that – you learn something new every day! Gin or vodka is a must in this heat. Congrats on finding some.